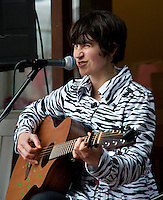 Andrea Szirbik is a singer-songwriter in Dover, NH. Music has been one of her primary passions from an early age, originally performing for school functions and in musical theater and choral groups, until about 10 years ago, delving into songwriting. She currently performs on the Seacoast, at times flying solo, but often as a trio with Christopher Guzikowski and Matt Young. 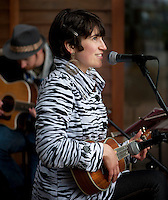 Although her music is based in folk, her original compositions frolic through pop, country, jazz and rock. In February of 2011, Szirbik recorded her debut album "I am here," a tribute for her cousin, which has since been re-mixed and mastered. She also incorporated a bonus original Spanish track.